Located in Homestead, Florida, the Homestead-Miami Speedway hosts NASCAR, IndyCar and several other series of racing events. With a design representing the vibrant nearby Miami Beach Art Deco district, the speedway opened to a sold-out NASCAR crowd in 1995. The track contains several lakes, the largest of which is 18 acres and even stocked with rare peacock bass. The lake is deep enough to submerge an entire six-story building. The speedway has continued to gain in popularity and garner the attention of motorsports enthusiasts around the globe. The track made history in 2008 when it became the first venue ever to host all of North America’s major motorsports championships: IndyCar, Grand-Am and Firestone Indy Lights Series, NASCAR’s Spring Cup, and the Nationwide and Camping World Truck Series. If you’re interested in testing out the track yourself, there are exotic auto racing experience tours available. Drive an Audi RB, Lamborghini Gallardo or Ferrari F430 around the track after a quick safety orientation and a two-lap test ride in a demo vehicle. Once you’re comfortable, hop behind the wheel of your race car. There’s also a Sky Box where you can watch other drivers before and after your experience. 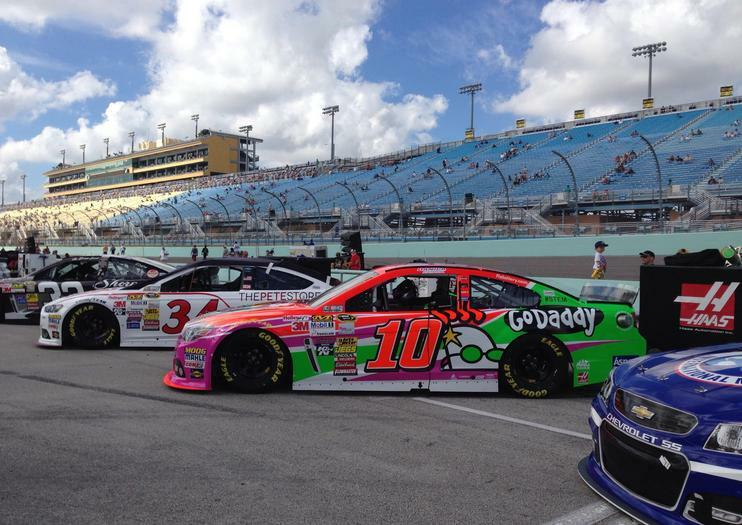 The Homestead-Miami Speedway has 55,000 grandstand seats and stretches over 600 acres. There are 16 viewing areas with club facilities and spectacular views of the action.